Signs of dog flu infection include cough, runny nose and fever, but not all dogs will exhibit signs. The severity of illness associated with dog flu can range from no signs to severe illness resulting in pneumonia and sometimes death. April 8, 2015 – CDC is aware of reports of a canine influenza (dog flu) outbreak in the Chicago area. 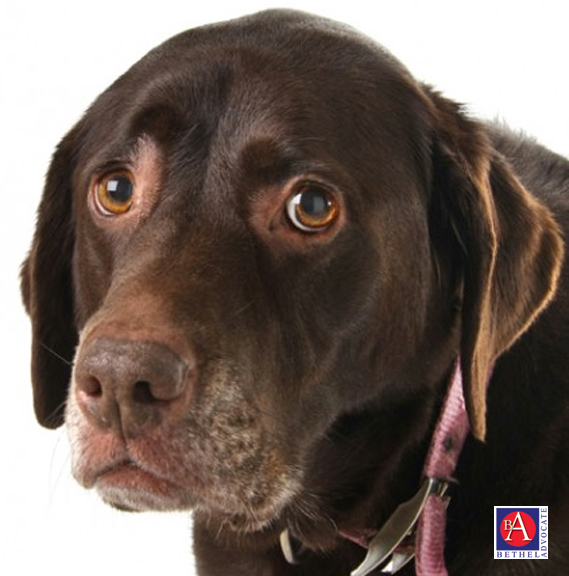 Dog flu is a contagious respiratory disease in dogs that does not cause illness in humans. A vaccine against this disease in dogs has been available since 2009. CDC recommends that people concerned about dog flu speak to their veterinarian. Signs of dog flu infection include cough, runny nose and fever, but not all dogs will exhibit signs. The severity of illness associated with dog flu can range from no signs to severe illness resulting in pneumonia and sometimes death. Tests are available to determine if a dog has been infected, and your veterinarian can tell you if testing is appropriate. You and your veterinarian can also discuss whether vaccinating your dog against canine influenza is indicated. Dog flu is caused by an influenza A (H3N8) virus that is closely related to an influenza virus found in horses for over 40 years. Experts believe this horse influenza virus changed in a way that allowed it to infect dogs, and the first dog flu infections caused by these viruses were reported in 2004, initially in greyhounds. This virus is now considered a dog-specific lineage of influenza A (H3N8) virus. Almost all dogs can be susceptible to infection, and illness tends to spread among dogs housed in kennels and shelters. To date, there is no evidence of transmission of dog flu from dogs to people and there has not been a single reported case of human infection with the canine influenza virus. Yes, approved vaccine are available. However, human infections with new influenza viruses (against which the human population has little immunity) would be concerning if they occurred. Influenza viruses are constantly changing and it is possible for a virus to change so that it could infect humans and spread easily between humans. Such a virus could represent a pandemic influenza threat. For this reason, CDC and its partners are monitoring the H3N8 influenza virus (as well as other animal influenza viruses) very closely. In general, however, canine influenza viruses are considered to pose a low threat to humans. As mentioned earlier, while these viruses are well established in horse and dog populations, there is no evidence of infection among humans with this virus. A: Canine influenza (CI), or dog flu, is a highly contagious respiratory infection of dogs that is caused by an influenza A virus. The canine influenza virus (CIV) is closely related to the virus that causes equine influenza and it is thought that the equine influenza virus mutated to produce the canine influenza virus. In the U.S., canine influenza has been caused by the H3N8 influenza A virus. A separate canine influenza virus, H3N2, had been reported in Korea, China and Thailand, but not in the U.S. until 2015, when an outbreak in Chicago, IL was determined to be caused by the H3N2 strain. mild form — Dogs suffering with the mild form of canine influenza develop a soft, moist cough that persists for 10 to 30 days. They may also be lethargic and have a reduced appetite and fever. Sneezing and discharge from the eyes and/or nose may also be observed. Some dogs have a dry cough similar to the traditional “kennel cough” caused by Bordetella bronchiseptica/parainfluenza virus complex. Dogs with the mild form of influenza may also have a thick nasal discharge, which is usually caused by a secondary bacterial infection. A: Fatal cases of pneumonia resulting from infection with canine influenza virus have been reported in dogs, but the fatality rate is low (less than 10%). Most dogs with CI recover in 2-3 weeks. A: The first recognized outbreak of canine influenza in the world is believed to have occurred in racing greyhounds in January 2004 at a track in Florida. From June to August of 2004, outbreaks of respiratory disease were reported at 14 tracks in 6 states (Alabama, Arkansas, Florida, Kansas, Texas, and West Virginia). Between January and May of 2005, outbreaks occurred at 20 tracks in 11 states (Arizona, Arkansas, Colorado, Florida, Iowa, Kansas, Massachusetts, Rhode Island, Texas, West Virginia, and Wisconsin). The canine influenza virus has been reported in 30 states and Washington, DC. A: The first vaccine for H3N8 canine influenza was approved in 2009, and there are several H3N8 canine influenza vaccines available. At this time, there is not an H3N2 vaccine available in the U.S. It is not known at this time whether the H3N8 vaccine will offer any protection against the H3N2 strain. The course of treatment depends on your pet’s condition, including the presence or absence of a secondary bacterial infection, pneumonia, dehydration, or other medical issues (e.g., pregnancy, pre-existing respiratory disease, compromised immune system, etc.). Your veterinarian might prescribe medications, such as an antibiotic (to fight secondary infections) and/or a nonsteroidal anti-inflammatory (to reduce fever, swelling and pain). Deyhdrated pets may need fuid therapy to restore and maintain hydration. Other medications, or even hospitalization, may also be necessary for more severe cases. A: Consult your veterinarian. Coughing can be caused by many different medical problems, and your veterinarian can examine and evaluate your dog and recommend an appropriate course of treatment. If canine influenza is suspected, treatment will usually focus on maximizing the ability of your dog’s immune system to combat the virus. A typical approach might include administration of fluids if your dog is becoming dehydrated and prescribing an antimicrobial if a secondary bacterial infection is suspected. A: Viral disease is usually best prevented through vaccination. A vaccine against canine influenza (H3N8) has been available since 2009. It is considered a “lifestyle” vaccine, which means that the decision to vaccinate a dog against CIV is based on the risk of exposure. A veterinarian should determine which vaccinations are needed based on related risks and benefits and should administer these at least 2 weeks prior to planned visits to dog activity and care facilities (e.g., kennels, veterinary clinics, dog day care centers, training facilities, dog parks). This differs from “core” vaccines – such as distemper, parvo and rabies – that are required for all dogs, regardless of lifestyle. Routine infection control precautions are key to preventing spread of viral disease within facilities. The canine influenza virus appears to be easily killed by disinfectants (e.g., quaternary ammonium compounds and bleach solutions at a 1 to 30 dilution) in common use in veterinary clinics, boarding facilities, and animal shelters. Protocols should be established for thoroughly cleaning and disinfecting cages, bowls, and other surfaces between uses. Employees should wash their hands with soap and water (or use an alcohol-based hand cleaner if soap and water are unavailable) before and after handling each dog; after coming into contact with a dog’s saliva, urine, feces, or blood; after cleaning cages; and upon arriving at and before leaving the facility (see “I work in a kennel/animal care facility. What should I do to prevent transmission of influenza virus from infected dogs to susceptible dogs?”). Dogs with suspected canine influenza virus infection discovered after entry into the facility should be evaluated and treated by a veterinarian. Isolation protocols should be rigorously applied for dogs showing signs of respiratory disease, including the wearing of disposable gloves by persons handling infected dogs or cleaning contaminated cages. Respiratory disease beyond what is considered typical for a particular facility should be investigated, and the investigation should include submission of appropriate diagnostic samples (see “What diagnostic tests will tell me whether a dog has canine influenza?”). Q: Is canine influenza transmissible to from dogs to horses or other animal species? A: At this time, there is no evidence of transmission of H3N8 canine influenza from dogs to horses, cats, ferrets, or other animal species; the H3N2 strain has been reported to infect cats. The infection control measures outlined in the section titled “I work in a kennel/animal care facility. What should I do to prevent transmission of influenza virus from infected dogs to susceptible dogs?” are recommended to prevent spread of the virus. Cook County Department of Animal and Rabies Control (CCDARC) is cautioning dog owners that a recent increase in reported cases of canine infectious respiratory disease (CIRD) could last for several weeks before it subsides. Dr. Donna Alexander, CCDARC administrator, said voluntary reporting to the Department of disease surveillance conducted by veterinarians has identified more than 1,000 cases of CIRD, or canine flu, unrelated to “kennel cough”, as well as five fatalities. CIRD is distinguished from kennel cough by its severity, possible consequences and diagnostic confirmation. The age of the animals presenting with CIRD symptoms vary, but more severe forms are being seen in dogs under 1 year of age and greater than 7, she said. Symptoms include persistent and lingering cough, lethargic behavior, a poor appetite and a fever. If you observe or suspect your dog may be suffering from any or all of these symptoms, the animal should be seen by a veterinarian, Dr. Alexander said. Additionally, she recommended that until incidents of the disease diminish, dog owners should avoid pet friendly areas such as dog parks, not allow their dogs to play with other dogs, avoid group dog training activities, and, if possible, not board their pets. Dogs can be contagious even if they are not showing any of the CIRD symptoms, Dr. Alexander said. While CIRD is highly contagious for dogs, it is not contagious for humans or other household pets such as cats. However, the virus that causes CIRD can live on fabrics and hard surfaces and can be transmitted from person to dog if the person has come into contact with a dog carrying the virus. To avoid such transmission, Dr. Alexander recommends thorough hand-washing after touching or petting a dog. A vaccine that counters CIRD is available and can be administered by a veterinarian. This vaccine is separate from the kennel cough vaccine. I just want to tell you that I am newbie to blogs and definitely enjoyed this blog. Likely I’m planning to bookmark your website . You certainly have amazing posts. Appreciate it for sharing with us your website. traded in in the set of two pretty donned house shoes of such -so very far delicious. Neuropathy during my foot makes brazilian body wav https://www.youtube.com/watch?v=T6hp4Ndf7vU unusually cold all the time, as a result Now i am giving thwew now, throughout the summer season! marvelous bcziggq 3rd element towards ever previously always keep the foot vogue. I really like the betterscooter.com http://adf.ly/6249830/banner/www.scamadviser.com/check-website/betterscooter.com…Basically is able to bring consumers in the summer! One of the top oceanfront recreational facilities is one on the Westcoast of the greatest wooden building piers. Thanks for every other informative website. Where else may I am getting that kind of info written in such a perfect approach? I have a mission that I am just now running on, and I have been on the look out for such information. Good ¡V I should certainly pronounce, impressed with your web site. I had no trouble navigating through all the tabs and related info ended up being truly easy to do to access. I recently found what I hoped for before you know it in the least. Quite unusual. Is likely to appreciate it for those who add forums or anything, site theme . a tones way for your client to communicate. Excellent task..
magnificent points altogether, you simply received a new reader. What would you suggest in regards to your submit that you just made some days in the past? Any sure? I was just searching for this information for some time. After 6 hours of continuous Googleing, finally I got it in your website. I wonder what’s the lack of Google strategy that do not rank this type of informative sites in top of the list. Normally the top web sites are full of garbage. A lot of thanks for your entire hard work on this site. Ellie really likes working on internet research and it is easy to understand why. Many of us hear all about the powerful ways you deliver efficient tricks by means of your website and as well as invigorate contribution from website visitors on this subject and my daughter is always discovering a great deal. Take advantage of the remaining portion of the year. You’re conducting a remarkable job. I have been browsing online greater than three hours nowadays, but I by no means discovered any interesting article like yours. It¡¦s beautiful price sufficient for me. In my opinion, if all site owners and bloggers made just right content material as you probably did, the web might be a lot more useful than ever before. I¡¦ve been exploring for a bit for any high-quality articles or blog posts in this sort of area . Exploring in Yahoo I ultimately stumbled upon this website. Reading this information So i am happy to convey that I’ve a very good uncanny feeling I found out just what I needed. I so much without a doubt will make certain to don¡¦t disregard this site and provides it a look regularly. hey there and thank you for your info – I have definitely picked up something new from right here. I did however expertise a few technical issues using this website, since I experienced to reload the web site lots of times previous to I could get it to load properly. I had been wondering if your web hosting is OK? Not that I am complaining, but sluggish loading instances times will very frequently affect your placement in google and can damage your high quality score if advertising and marketing with Adwords. Well I am adding this RSS to my email and could look out for much more of your respective exciting content. Make sure you update this again soon..
I¡¦ll right away grasp your rss feed as I can’t in finding your email subscription link or e-newsletter service. Do you’ve any? Kindly permit me understand so that I may subscribe. Thanks. I and also my friends happened to be analyzing the excellent things from your web site and then then I had a horrible feeling I had not expressed respect to you for them. The young boys were absolutely joyful to read through all of them and already have simply been enjoying those things. Appreciation for actually being really kind and also for selecting this kind of helpful themes most people are really desirous to understand about. My personal honest regret for not expressing gratitude to sooner. Thank you a bunch for sharing this with all of us you really recognize what you’re talking about! Bookmarked. Kindly also seek advice from my web site =). We could have a link change agreement between us! Wow, fantastic blog format! How long have you been blogging for? you make running a blog glance easy. The entire look of your web site is magnificent, let alone the content material! fantastic points altogether, you just won a new reader. What would you recommend about your post that you made some days in the past? Any certain? Thanks for any other excellent article. The place else may anyone get that kind of information in such a perfect means of writing? I have a presentation subsequent week, and I am on the look for such info. I¡¦ll immediately grasp your rss feed as I can’t in finding your e-mail subscription hyperlink or newsletter service. Do you’ve any? Please allow me know in order that I could subscribe. Thanks. Hello, Neat post. There is a problem along with your site in web explorer, could check this¡K IE still is the marketplace chief and a big component of other people will omit your fantastic writing due to this problem. you’re really a just right webmaster. The web site loading pace is incredible. It kind of feels that you’re doing any distinctive trick. Furthermore, The contents are masterpiece. you’ve performed a fantastic activity in this matter! Nice post. I was checking continuously this blog and I am impressed! Very useful info specially the last part 🙂 I care for such info a lot. I was looking for this certain information for a long time. Thank you and best of luck. Hello here, just turned mindful of your website through Bing, and realized that it is really beneficial. I’ll like should you continue this. I was just seeking this information for a while. After 6 hours of continuous Googleing, at last I got it in your site. I wonder what’s the lack of Google strategy that do not rank this kind of informative web sites in top of the list. Normally the top websites are full of garbage. What’s up everybody, here every person is sharing these kinds of familiarity, so it’s good to read this blog, and I used to go to see this blog daily. Wow, awesome blog layout! How long have you ever been blogging for? you make running a blog look easy. The entire look of your website is magnificent, as well as the content material! You really make it appear so easy together with your presentation but I find this topic to be actually one thing which I think I might by no means understand. It sort of feels too complicated and very extensive for me. I’m having a look forward on your next submit, I will attempt to get the dangle of it! Whats Taking place i’m new to this, I stumbled upon this I’ve discovered It absolutely helpful and it has helped me out loads. I’m hoping to contribute & aid other customers like its helped me. Great job. Thanks a lot for sharing this with all folks you actually realize what you’re speaking about! Bookmarked. Please also visit my web site =). We can have a link trade agreement among us! Magnificent goods from you, man. I have understand your stuff previous to and you’re just extremely great. I actually like what you’ve acquired here, really like what you’re saying and the way in which you say it. You make it entertaining and you still care for to keep it sensible. I can’t wait to read much more from you. This is really a wonderful web site. I definitely wanted to post a small message in order to thank you for all of the marvelous guides you are giving out at this site. My long internet research has now been recognized with useful points to go over with my family members. I ‘d mention that we visitors are undoubtedly blessed to be in a good website with very many perfect people with very helpful principles. I feel really happy to have come across the weblog and look forward to some more enjoyable minutes reading here. Thank you once again for all the details. Whats Taking place i’m new to this, I stumbled upon this I’ve found It absolutely helpful and it has aided me out loads. I hope to give a contribution & aid different users like its helped me. Good job. Hello, Neat post. There’s a problem together with your web site in internet explorer, may check this¡K IE still is the market chief and a good element of other people will leave out your excellent writing because of this problem. blog blogger but I’m still new to the whole thing. Do you have any points for first-time blog writers? hey there and thank you for your info – I have definitely picked up something new from right here. I did however expertise some technical issues using this web site, as I experienced to reload the website lots of times previous to I could get it to load properly. I had been wondering if your hosting is OK? Not that I’m complaining, but sluggish loading instances times will very frequently affect your placement in google and could damage your high quality score if advertising and marketing with Adwords. Well I’m adding this RSS to my e-mail and could look out for a lot more of your respective fascinating content. Ensure that you update this again soon.. I do believe all the ideas you have presented for your post. They’re very convincing and can certainly work. Nonetheless, the posts are too quick for starters. May just you please lengthen them a bit from subsequent time? Thanks for the post. I am now not positive where you are getting your information, but great topic. I must spend a while learning much more or figuring out more. Thank you for great info I used to be searching for this info for my mission. A lot of thanks for all of your effort on this web page. My daughter really likes managing investigations and it’s simple to grasp why. A number of us notice all relating to the compelling tactic you give both interesting and useful techniques on the web site and encourage response from other individuals on that subject matter while our favorite princess is without a doubt studying a great deal. Have fun with the rest of the year. You are doing a terrific job. I actually wanted to make a comment to express gratitude to you for these precious recommendations you are showing on this site. My incredibly long internet look up has at the end of the day been compensated with sensible strategies to write about with my family and friends. I ‘d assume that most of us website visitors actually are undeniably fortunate to be in a magnificent site with very many marvellous individuals with helpful ideas. I feel very fortunate to have come across your entire website page and look forward to plenty of more exciting moments reading here. Thanks again for all the details. Just wish to say your article is as surprising. The clarity in your post is just spectacular and i can assume you’re an expert on this subject. Well with your permission let me to grab your RSS feed to keep updated with forthcoming post. Thanks a million and please keep up the enjoyable work. Wonderful web site. Lots of helpful info here. I¡¦m sending it to some friends ans also sharing in delicious. And certainly, thank you on your sweat! Hello, Neat post. There is an issue together with your website in web explorer, could check this¡K IE nonetheless is the marketplace chief and a good component to folks will leave out your fantastic writing due to this problem. I am only writing to make you know what a remarkable discovery my daughter experienced studying your web page. She even learned a wide variety of things, which included what it is like to have a marvelous helping heart to have the mediocre ones really easily learn about various tortuous things. You undoubtedly exceeded my expected results. I appreciate you for displaying those essential, dependable, explanatory not to mention fun tips on this topic to Emily.